I will be the first person to tell you to never click a link in an email from a bank or what you think is a legitimate link to any online account you may have, whether it be iTunes, Netflix, Amazon, Fed Ex, PayPal, USPS… the list is endless and those sending out phishing emails exploit many of these accounts and more. Even though I know better, it happened to me when I had my guard down. More about that in a moment and how you can protect your online accounts and identity, but first – what exactly is Phishing? Phishing is a malicious attempt to steal your personal information about an online account you have with a reputable company by sending you a fake email that links to a fake login of that company. It’s pronounced like ‘fishing’ and just like when commercial fisherman case a wide net to catch fish, scammers and hackers send out millions of emails in hopes to catch easy prey who unwittingly click on the links in those emails. First of all, most online services will never send you a link asking you to sign into your account for any reason. If they do, I’ll explain why you should still not click it and how to access your account safety to see if the email actually came from a legitimate company. In most cases, these malicious emails contain alarming news about your account being compromised or hacked. “Thanks for choosing Netflix membership! due latest security issues we need you to upgrade your account details in order to continue your membership.” Notice how there was even a grammatical error in the message, but yes – I still clicked it. I knew full well that if our account had needed changing or was compromised, Netflix is one of those companies that would have emailed a notice and then instructed her to go to their website via usual methods (such as Googling Netflix or using a trusted bookmark you made in your browser). They won’t put the link in the email. Well, here’s how it happened to me and why people click on malicious links in emails when they know better. In my case, I had just made changes to the WiFi password in our home and this of course would effect Netflix’s ability to connect via the devices that were set up to watch Netflix on. Even though I know about phishing and to be careful when receiving these emails, my wife had just mentioned to me that she was unable to connect to Netflix and at the same time the fake Netflix email arrived in my inbox. I was annoyed that Netflix may not be working so I clicked the link. Fortunately, I realized immediately what I’d done so I closed my browser before any harm was done. Upon further investigation, I noticed that the link actually was going to a different website than Netflix, but in that moment of frustration it made sense in my mind to be receiving an email from Netflix. cyberthieves count on catching people off guard. For example, if you don’t have a Chase bank account, then chances are you won’t pay much attention to the email. You know it’s probably fraudulent. But if I do have an account related to the email, it makes sense to be receiving an email about a problem with your account. Especially when you’ve recently logged in your this account and made changes. For example, imagine that you just shipped a package via FedEx, and later that day a FedEx email comes in stating that your package can’t be shipped. You immediately get stressed… “What?” If you’re not thinking, you will click the link to see what the problem is. It’s a ‘game of chance’ as hackers send out millions of these emails. They know they will trick some people because by coincidence alone these same people will not only have an account related to the email, some of them will have recently made changes to their account, or shipped a package with UPS, or applied for a loan at a bank. 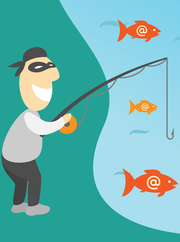 Phishing, also known as Spoofing, is very common. If you click the link in a plishing email and you attempt to log into your account, thieves gain access to your user name and password. Once inside the account, they have access to all of your personal information. Protecting yourself against phishing is as easy as never clicking a link to an online account from within the email. Always go to your account home page or bookmark. Computer infections caused by viruses in email attachments however, are a different story. This is why Anti-Virus software is important to stop spyware, Trojan horses, adware and computer worms. But there are new email virus schemes that employ the same methods as phishing. You may have see them. These emails contain attachments in the form of a seemingly innocent Word doc or a zip file. The email may say, “Your loan has been approved!” Or “Attached is Your Out Standing Invoice”. If you happened to have just applied for a loan or are curious about if you owe money, you will be more likely to open the attachment. While phishing emails gain access a single account to access your personal information, viruses via email will activate malware that infects your entire computer. In both cases, your personal information is compromised. If you have accidentally given access to one of your online accounts for any reason or are not sure, log in and change your password as soon as possible. If you think your computer has been infected by a virus, read more about how to scan and remove malware – as well as protect yourself from attacks. What Can You Do to Help Stop Hackers Who Send Phishing email? Virtually every online account service you use will have security departments that investigate phishing. As such, many have email addresses that you can forward these bad emails to for further investigation. When you get a suspicious email, simply Google the company name with the word phishing (i.e. ‘Report PayPal Phishing’ or ‘Report Chase Phishing’) and you will find information about where to send phishing emails and perhaps help these companies catch the cyberthieves. Savvy parents have gotten up-to-date about the wealth of Safe Search features provided by popular websites that partner with Google, as well as optional search restrictions for Google Play and the App Store. However, setting-up safe search filtering is simply not enough to keep kids protected from the variety of threats out there. Sure, harmful websites will be blocked from an Internet search results page, but what about social media concerns, such as cyberbullying, online predators, or inappropriate images? What about disclosing harmful texts, such as sexting and personal photos that are best kept private? What about innocuous threats, such as spending too much time playing video games instead of focusing on homework and other responsibilities? Yes, safe search filtering is crucial to maintaining the safety and innocence of children: but the Internet isn’t just a search engine anymore. 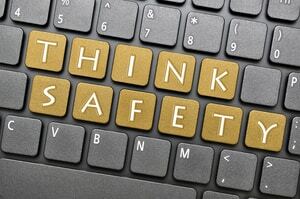 So many other elements are at play when it comes to keeping kids safe online. Not to mention, the more time parents have to spend managing screen time restrictions, social media, texting, photos, who their kid’s friends with online, and more – the less time parents have to actually… parent. SentryPC is Parental Control Software that Monitors, Filters and Controls all aspects of online activity for kids. It is a comprehensive yet easy to use tool that gives parents peace of mind knowing their children are protected on the internet. SentryPC makes it easier for parents to monitor their kid’s activities online, maintain their kid’s safety, manage their kid’s screen time, as well as manage their own time more effectively so that they can continue to do what they do best: Parent. Web filtering including keyword and phrase filtering. Application Filtering (Blocking apps by category, name or age-rating). Real-time activity viewing and management. Centralized management of multiple PC’s and users. Security options to block system changes on computer. As a parent, you no longer have to play the “guessing game” as to what their kid searches for online, who their friends are, and whether they are actually studying for that history project or just goofing off on World of Warcraft. Technology is here to stay. This is the reality. 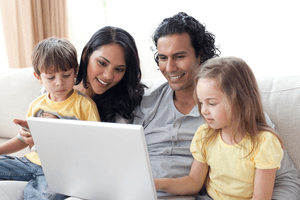 Parental Control Software helps parents adjust to the new reality, ensuring not only that their kids stay safe – but they can build a better, stronger relationship. Do you know how often your kids frequent social networking sites? According to the Norton Online Living report, 76% of U.S. teens ages 13-17 are “constantly” or “frequently” visiting social networking sites. Do you know if your child has been contacted online by a stranger? 16% of U.S. children have been approached online by a stranger. Is your child one of them? 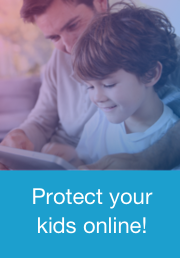 You can rely on the search engines or app stores for filtering services – which don’t include social media or screen time monitoring – or you can join 7,000,000 other parents who’ve partnered up with parental control software, such as Familoop Safeguard. Discover how much time you save hunched over your child’s shoulder monitoring their online activity. Find out how quickly your parental focus and peace can be restored in your home.